A new update: Unfortunately, solstar can no longer continue on with this project so I will be taking over. I’ve been a blogger using the platform Blogger (and has not been a huge fan of using WordPress) so I will continue to release new updates on my own blog. However, since it started on this blog, I will update WordPress ten chapters at a time. 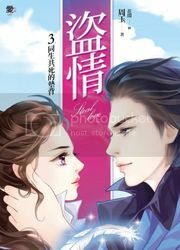 Let’s thank solstar for all the hard work she put into translating the first 30 thirty chapter of this lengthy novel and hope everyone continues to support the effort put into translating this. At this hour, the rain has already stopped. Li Wei Yang looked into the horizon at the rainbow, her pupils contracted, and she spoke in a low voice: “If I had killed him just now, it would have been great satisfaction, but unfortunately, he still has his use. Or else for these wicked people who tarnish other’s reputations, to be pierced with thousand knives is not enough to quell my hatred. Li Wei Yang showed a brief smile and hid the hint of bitter hope in her eyes. Just because Da furen won’t let her, would she not find other ways to see Lao furen? She has left Zi Yan and Mo Zhu behind and instructed one to seek Prime Minister Li from his study and one to seek Lao furen from He Xiang Yuan. Da furen must think she is a fool to just sit here and wait for her to come and punish her? “San xiaojie, please don’t take offense!” Zhang mama waved her hand and then a few large waist mamas came forward to seize Li Wei Yang. Everyone stared blankly at one another and couldn’t help but feel the urge to protect Li Wei Yang instead to prevent her from inflicting any injuries. 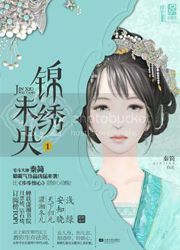 San xiaojie’s expressions did not reveal any hints of anxiousness, not even panic from the thought of being interrogated. Zhang mama spoke for a long time but in the end felt apprehended so she told her people to prepare the things. Not for long, everything was brought forward and Bai Zhi hung the cloak on the cool bench. Li Wei Yang comfortably sat down, held the cup of hot tea in her hands, and thoughtfully stared at Zhang mama. Her expression was coldly distant, as if carrying an unfathomable chilling aura from the well in the cold winter. Zhang mama originally came to seize her but was actually subdued by the imposing manner of a thirteen-year-old girl. Standing there, her complexion paled as she became uncertain what was to come. Half an hour later, only the sound of a jade bell can be heard with a light breeze of fragranced air. Da furen entered the garden with a glamorous looking woman. Because of the water stains, someone has already placed a rosewood blanket on the grounds. As they approached closer, Li Wei Yang observed from afar. Wei Guo Furen indeed has a noble reputation but as family, these type of etiquettes can be disregarded, which is why everyone was standing there, coldly staring at Li Wei Yang as if they have forgotten that she is also part of the Li family. Li Wei Yang coldly smiled inside: A very domineering demeanor – it seemed like Da Furen wanted to put her to death with this matter. “What thief! You dare to insult my Er Ge!” Gao Min aggressively questioned. “Wei Yang is not smart; I don’t understand Min Biaojie’s meaning. Could it be that the thief who trespassed into my yuan today was Gao Jin Biaoge?” Li Wei Yang showed no resentment nor anger and instead stood there with a slight smile and she spoke without being too overbearing nor too humble. She obviously only said Li Wei Yang beat up her Er Ge, when did she say her brother was a thief! Gao Min couldn’t believe that Li Wei Yang was that good with her words that she can’t think of a comeback, and instead angered herself as her face reddened. Wei Guo furen originally wanted to let Gao Min to show off her authority but she couldn’t believe it backfired. She was about to show her rage when Li Zhangle suddenly spoke: “What is going on today!” Her eyes swept towards the maids and mamas standing by the side. aw, solstar, you aren’t continuing anymore? All the best, ok! right, i’ll go to that other blog then! hmph, everyone ganging up on wei yang! how dare they, how dare th—-ey!! go wei yang, you can do it! woooo! Thank you for opening our eyes to Wei Yang!!!!!!!!!! We kneel down to you!!!!!! Thank you! Thank you for picking up this project! Thank you and solstar!! ^.^ anyway my poor Wei Yang, show these terrible people your true strength ! Thank you Solstar24 for all your effort and wishing you best of luck. So happy to know that another kind hearted soul is willing to continue with the translation of this super interesting story. Thanks for picking up the novel! solstar, thanks for your work so far. Thx for continuing this novel! Thx Solstar for introducing this novel to us! Really appreciate your translations so far, thank you for all your hard work. Good luck in the future! Thank you Solstar for your hard work thus far. And thanks Chaierie for picking this up. I love this story so much and I’m glad I’ll be able to continue reading its translation. Ahhh, I was pretty confused by the sudden shift. Thank you solstar for beginning this translation of Wei Yang and bringing it this far. I was riveted from the first chapter and could not even watch the live drama, just wanted to keep the Wei Yang of the novel in my mind. Thank you chaierie for picking this up so I can continue the story. It seems there are many novels in this vein now but this was the first for me and it holds a special place. Plus it may be the best. Many thinks for your hard work. Thank you so much! And thank you Solstar for all your efforts. Hope there will be more! @chaierie: it looks like your blog is being flagged by Chrome for not having a valid SSL certificate. Hi! It should be valid since I’ve turned on the HTTPS redirect in blogger settings. I will take a look and see what I can do. Solstar, thank you so much for introducing this wonderful novel and most of all thank you for translating these 30 chapters. I can´t express how much I appreciate it.